Melbourne born Street was drafted by the Pittsburgh Pirates in 2014 and is now in his fourth year in the Pirates’ farm system. He has spent both 2016 and 2017 with the Advanced A level Brenton Marauders in the Florida State League. 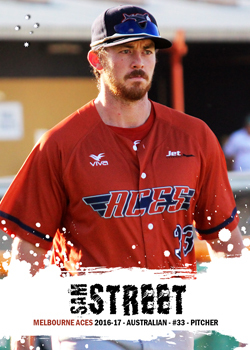 The 2016-17 ABL system was Street’s second in the ABL and with the Melbourne Aces.